Benson Ranch is 360 acres of serenity – at least most of the time! My husband, Mitch, is an equine veterinarian and provides his expertise and guidance as needed, and I, Cindy, run the ranch. We usually have 80-100 Miniature Donkeys here who are my passion. I have been raising Miniature Donkeys since 1992 – that’s a long time!!! Mitch raises miniature cows and loves them as much as I do my donkeys. We are both horsemen and are avid packers with our draft mules. 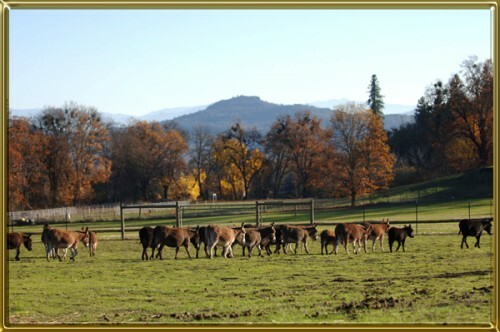 The ranch is a secluded haven for us and our large animal family. 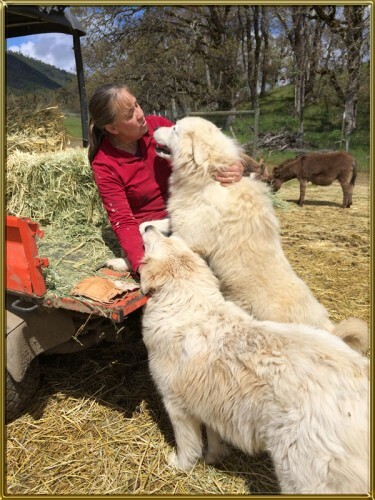 In 2013 we added registered Maremma livestock guardians to our breeding program. These incredible dogs do a great job of protecting our livestock . 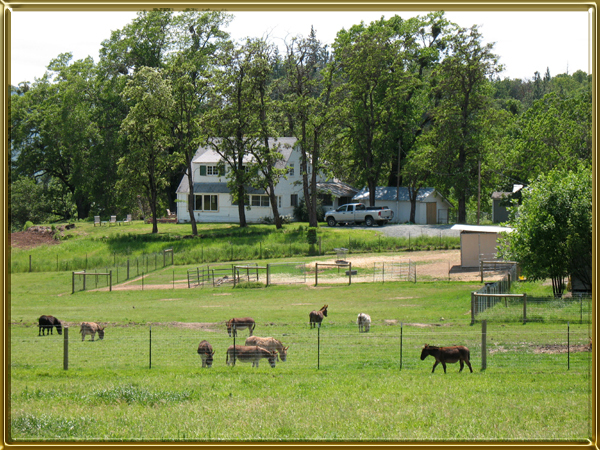 Benson Ranch is located in Gold Hill, Oregon, just minutes off I-5. 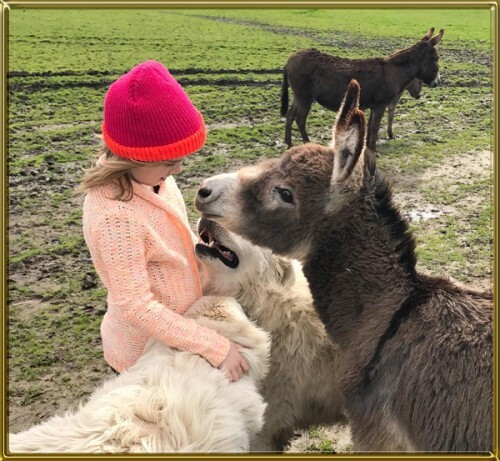 This is a young visitor with a seven month old mini donkey and the two adult Maremmas who guard in this field. Notice the kindness of the donkey and the dogs – beautiful! Mitch has been an equine veterinarian for 30 years and specializes in reproduction, lameness, and dentistry. He was the United States Equestrian Team’s Endurance veterinarian for several years and traveled with the US team’s horses to the World Games in Holland and Spain. I have been riding and training equines since I was 10 years old. I have studied genetics and equine conformation extensively, and have many years of animal husbandry behind me. A few of our expectant moms up near the house. Me doing chores with Centurion and his partner Tessa.